[Hong Kong] Can I say I am once envious of my Hong Kong friends for this tiny fact? 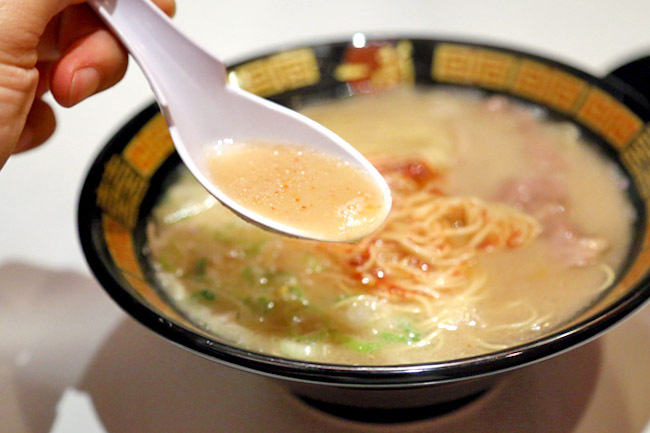 That Hong Kong has Ichiran Ramen 一蘭, but Singapore doesn’t. 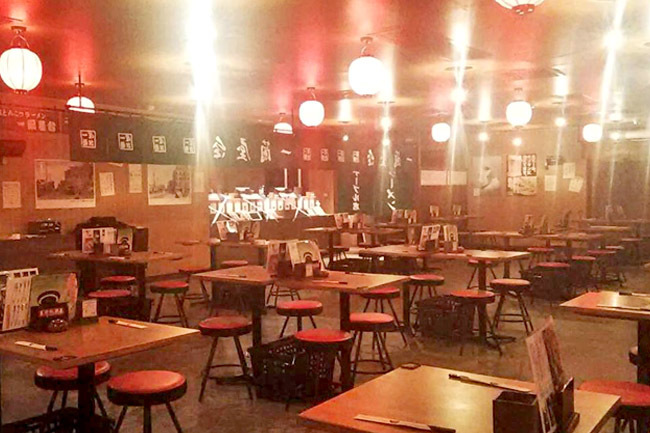 Yes, and other than Causeway Bay, there is another branch at Tsim Sha Tsui – the biggest Ichiran in the world with 182 seats and one that offers COMMUNAL seating. 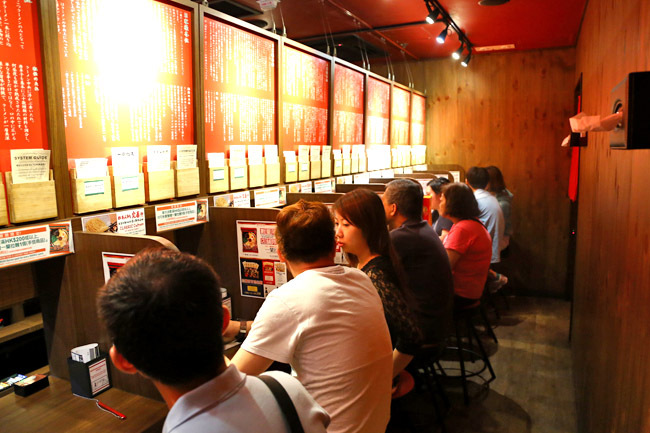 All the other Ichiran branches offer also (lonesome) individual booths for dining. 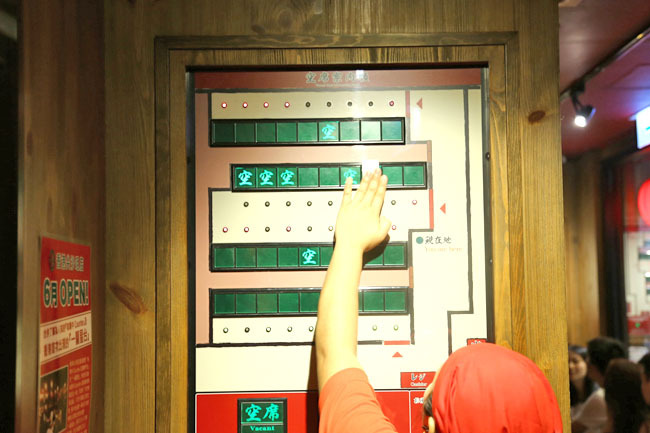 The private booths are so that customers can concentrate fully on appreciating the ramen. 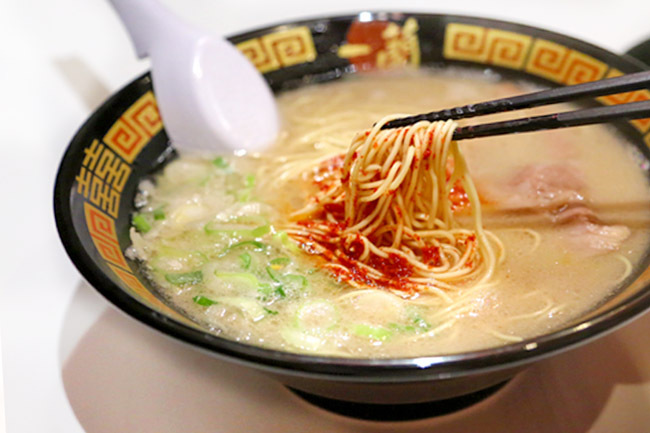 Ichiran Ramen was founded in Hakata Fukuoka way back in the 1960s. 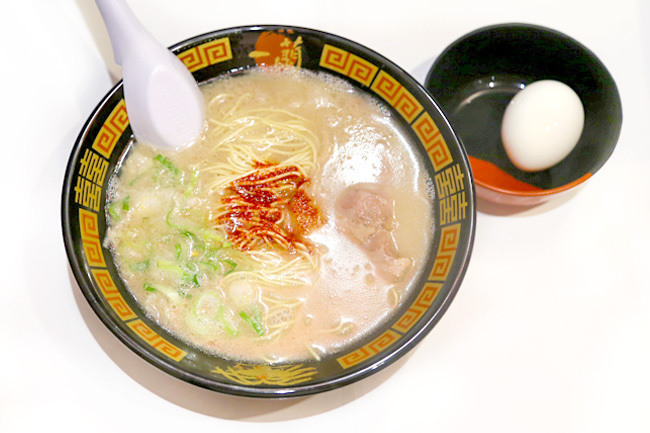 Its winning formula can be attributed to thin, long, firm Hakata-style noodles; creamy smooth classic pork-based tonkotsu soup, topped with Ichiran’s original red pepper sauced mixed with 3 type of spices. 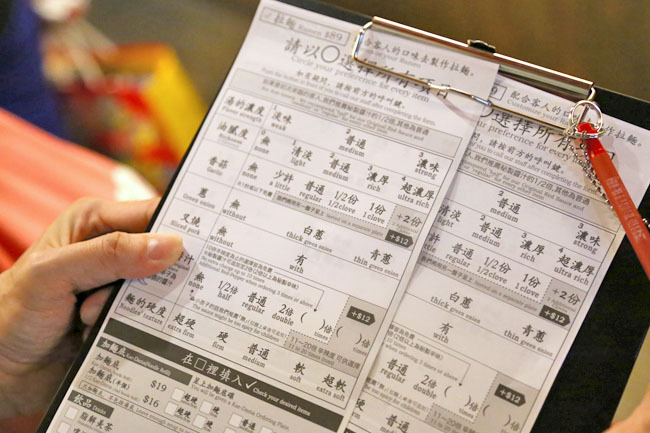 The Causeway Bay outlet is similar to the Japanese ones in terms of ordering and seating: Queue up, fill up the customised sheets, wait for a booth set, and EAT. The difference, you pay at the end instead of the start via the vending machine. The stock, noodles and most of the ingredients are delivered directly from the Japanese HQ central kitchen. While the bowl looked the same in terms of presentation, the noodles were soggier, egg not as tasty as I remembered. But the biggest disparity was the soup stock – visibly more diluted and wasn’t as robust and full in taste. Not quite the real deal, but good enough to qualify as one of the best ramen available in Hong Kong. 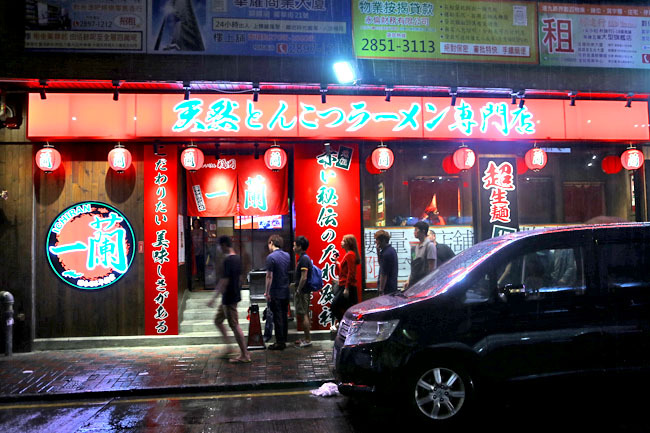 Plus, Ichiran is available 24/7, all year round. I queued 45 minutes for it. 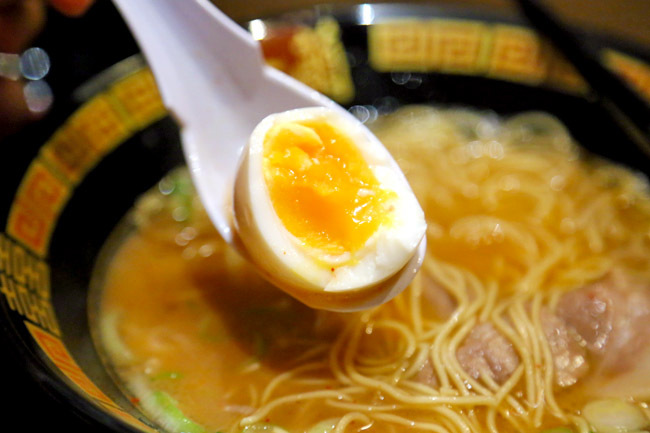 It’s way better than many of the ramen in Singapore. I have to say, I love your opening line. Hong Kong may have some nice Ramen but Singapore still wins every time when it comes to food. Just passed yesterday at Causeway, loooong line of people. Had noodles at Mak´s instead and dinner at Chino, have to say their tostada with uni and scallop was a killer and lovely atmosphere at the counter with chef in front. Tnx for a nice blog, used it a little in Taipei and will check out before leaving for Singapore. One question, if you just had 2 days in Singapore, what would´t you miss out on ? I´m quite used to high end restaurants around the world and to be honest I´m maybe more interested in the places that is hard to find without knowing rather than the stars ( but of course if some of them is a must…. 😉 would really appreciate your opinion.